Many different avenues can result in tooth loss, whether from decay, gum disease or trauma. Missing a tooth might not seem as a big deal, however a tooth loss can lead to many detrimental problems. These problems include: nutrition, function, and aesthetics. Bone loss and Resorption, which can affect facial aesthetics. The jawbone will resorb over time because of the lack of stimulation from a missing tooth. With placement of a dental implant this simulation is restored. With loss of bone the surrounding facial aesthetics can be deformed i.e. the chin looking weaker, and or the lips not looking as full. Disrupting daily life and function with missing teeth. Daily life tasks become more difficult when we are missing teeth. Activities that we take for granted such as chewing and speaking can become more difficult. Partial Dentureà It is great in that it will replace the missing tooth but this is where the advantage ends. 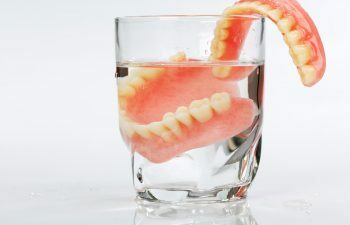 Partial dentures place pressure on the surrounding teeth and gingiva (gums), which can cause trauma and abrasion to the area. In addition there will be bone loss in the area of the missing tooth as there is no stimulus to the surrounding bone and from the compressive forces of the partial denture. Bridgeà A bridge is also a viable option to replace a missing tooth and the advantage is that it will be a permanent option, however this is where the advantage ends. A bridge requires removing healthy teeth structure adjacent to the missing tooth site, which can compromise the future health of those teeth. In addition keeping the hygiene under the missing tooth is difficult and cause food to be trapped. Dental Implantà the standard of care in replacing a tooth. It is a permanent solution, which maintains the bone, doesn’t require injuring adjacent teeth, restores your pre-existing bite, it is a cosmetic and aesthetic solution.